Note: The PowerPoint presentation that accompanied this speech is available on request. Hi, my name is Jessica Morthorpe. I am an Environmental Project Intern in the Justice and International Mission Unit of the Uniting Church in Australia Synod of Victoria and Tasmania and I also run an ecumenical church greening program called the Five Leaf Eco-Awards. I am a member of Kippax Uniting Church in Canberra. I’ve been invited here today to talk about Christians and the environment. This is a challenging task because Christians will have different interpretations of what it means to be a Christian and the impact this should have on their connection to the environment. All I can do is speak from my own experience and interpretation of my faith. This might differ slightly or significantly from what another Christian, particularly one from another denomination, might say, but still fit within the Christian tradition. So what I am going to do today is start by telling you a little about how I became what I call a Christian Environmentalist, which will introduce some of the challenges of this area, then I will talk about some of the history of the interaction between Christianity and the environment, a little about some broad Christian environmental ethics, what the Bible teaches us about the environment and eco-theology, what real churches say about why they care about the environment, why I think faith can save creation and my vision of a green church. I will also give you some time in your small interfaith groups to talk about some of the questions I raise along the way. I grew up as a Christian and an environmentalist. Like many who care for this earth, I was one of those kids who ran around the back yard getting dirty and playing with anything living I could find there. I learnt how to stop ants from biting me, I bred slater pigs, I grew flowers and played with the plants in my mother’s garden, I caught the boatmen in our pool and I fished out the drowning bees and other insects and tried to save them when mum wasn’t looking. Most of all, I loved my dog – Sandy the golden Labrodor cross. She was a beloved best friend who stood beside me my entire childhood – 17 years in fact. My parents both have agricultural science degrees, so my early interest in the environment is perhaps not that surprising. As a kid I collected book inserts on animals from a magazine each week, and it was from these I first learnt about endangered species like wolves, minx, elephants and orang utans. When I was eight years old I decided that I was going to create the world’s biggest and best zoo, one that was going to save all those endangered species from extinction. My dream has evolved over the years, but I still want to work in endangered species conservation, if possible, with faith groups. So eventually I got to uni and here I was, passionate about the environment, passionate about my faith, and yet, unable to marry the two. It shames and confuses me now that I could have read the Bible so many times and never seen the green message I now see within the text, but for so long I was confused and afraid. The only thing I loved more than the environment was God, yet the Bible said people had dominion over the animals didn’t it? I couldn’t understand or countenance a faith that believed we had the right to abuse our fellow creatures, and I didn’t think, everything belonging to God, that God would approve of this treatment either, and yet how else was I to understand Genesis 1:28? After all, the church didn’t seem to care about the environment. So I was torn, often wondering if God would one day call me to give up my work for the environment and come serve the church. I always promised God that if asked I would do so, but the thought broke my heart and I didn’t understand why God would create me with such a passion for the environment if I was not supposed to use it. So one day, I heard that the then Bishop George Browning of the Canberra Goulburn Diocese was talking at my university about Christianity and the Environment. It was an unpromising event really – it was in a small theatre and very few people turned up, but after the talk I worked up the guts to ask about the question that was bothering me the most – I asked about Genesis 1:28. George Browning thanked me for the question, explained that it confused many people and then explained to me that the word translated ‘dominion’ could also be translated as a commission for humanity to rule over creation in the same way that the sun rules over the day and the moon over the night – as servant rulers. I thought about that for a moment. The sun is the source of all energy on Earth, it nourishes us and make our lives possible yet never receives anything in return. It was a classic eye opening, lightbulb experience. Later, when I was invited to be an Australian delegate to the Asia Pacific Interfaith Youth Camp on Climate Change in Surubaya, Indonesia; I did a whole bunch of reading before the trip so that I would be able to share with the people from other faiths what Christianity had to say about the environment. The eco-theology texts were fascinating and while reading them I finally realised I could actually do this, I could marry the two pillar of my life together. I could be no only a Christian and an environmentalist, but a Christian environmentalist. At first, I was concerned that verses like Genesis 2:15 where God tells man to tend and care (exact wording depends on the translation) for the Garden of Eden were isolated proof texts that couldn’t be counted on to build a solid theology. As Shakespeare once said, “the devil can cite Scripture for his own purpose”. As J. Matthew Sleeth (2008) writes in his personal account of his ecological conversion, “Much harm has been done in the past by taking one or two lines from the Bible and building an entire theology on them. Was the call to care for creation care one of those instances? Was my church right in remaining silent on creation? ... What my reading of the Bible disclosed is that creation care is at the very core of our Christian walk.” Likewise, I came to the conclusion that creation care was one of the Bible’s central messages and I became convicted that God was calling the church today to respond to this, so I decided to do something about it. After the trip I began work on what eventually became the Five Leaf Eco-Awards, an ecumenical church greening program I run that I’m hoping to make interfaith soon. I also started volunteering for the Justice and International Mission Unit of the UCA Synod of VicTas where I get to help create a range of resources to help churches in the two states become more environmentally friendly. But what I would like to ask is, how many of you had a similar experience to mine? Can I have a show of hands of how many of the Christians here once thought the Bible had nothing to say about the environment? What about the Jews and Muslims, did any of you struggle to realise what your faiths said about the environment? 1. Why do you think that people of faith sometimes fail to see the ‘green’ side of their holy texts and the practice of their faith? Draw on examples from your faith tradition. 2. What can we do to try and make them see in the future? I think it is fair to say that for at least the last 200 years, Christianity has struggled to see creation care as part of the Christian life and response to God’s grace and Jesus’ sacrifice; or at the very least, we have failed to live as though we believe this. In 1967, historian Lyn White accused Judeo-Christian ideas of dominion of being the root cause of the environmental crisis. This was actually a blessing in disguise, as it caused such uproar and such a scramble to prove him wrong, that in fact, it sparked the development of the stewardship ethic and the modern Christian Environmental movement. Hildegard of Bingen, Martin Luther, John Calvin, Teresa of Avila, John of the Cross, CS Lewis, TS Elliot, Pope Gregory the Great, Pope Paul VI, EB White, Mother Teresa, Billy Graham, Pope John Paul II, Francis Schaeffer, Patriarch Ignatius IV of Antioch, Pope Benedict XVI, Martin Luther King Jnr., Desmond Tutu and Rick Warren. All are Christians who at some point in history have spoken about the need for Christians to care for the environment. Thankfully, Christianity is beginning to regain its care for creation and to relook at the words of these people and the words of scripture in regards to how they should relate to creation. So what are some of the basic ethics that underpin a Christian relationship with the environment? Jesus says we must remove the plank from our own eye before removing the speck in another’s, therefore a Christian environmental ethics should always start with cleaning up our own act before telling others what to do or judging them for their environmental sins. Secondly, a Christian approach to the environment must focus on worshipping God, not possessions. According to Pope John Paul II “The seriousness of ecological degradation lays bare the depth of man’s moral crisis.... Simplicity, moderation, and discipline as well as the spirit of sacrifice must become a part of everyday life.” Peace with the Creator, Peace with All of Creation. Thirdly, a Christian approach to the environment must come from our relationship with God, and be an attempt to move away from sin. Fourthly, a Christian approach to the environment has to be based Jesus’ summary of the entire law and prophets - his two greatest commandments. In Luke 10:25, Jesus is asked a question at the core of the Christian faith – “What must I do to inherit eternal life?” He answers with two things – “You shall love the Lord your God with all your heart, and with all your soul, and with all your strength, and with all your mind” and “you shall love your neighbour as yourself”. The questioner then asks – “Who is my neighbour?” So Jesus tells him a story – the Parable of the Good Samaritan, one many of you may be familiar with. So what do these two central Christian teachings have to do with Creation care? Quite a bit actually. Let’s look at what Jesus calls the first and greatest commandment – “love the Lord your God with all your heart, and with all your soul, and with all your strength, and with all your mind”. Psalm 24:1 says “The earth is the Lord’s and all that is in it” and Psalm 50:9-11 says Every wild animal of the forest is mine, The cattle on a thousand hills. I know all the birds of the air, And all that moves in the field is mine.” God created the world and all its creatures, and declared them good. The earth is the Lord’s masterpiece, and as one of my favourite sayings goes, “Imagine how you would feel about meeting Leonardo Da Vinci if you knew you had set fire to the Mona Lisa!” (Seaton, 2002). Basic respect tells us that we shouldn’t destroy something created by, and that belongs to God; to do so is to show disrespect to God. Especially not when he has appointed us the stewards of the earth and will one day demand an accounting. But the commandment wasn’t about respecting God, it was about loving him with everything we are and everything we have. So the question becomes – how can we express our love for God through our care for his creation? In the parable of the Good Samaritan we see that it is not who the one who needs help is, or who we are that is important. Being a Christian neighbour is about having enough compassion to help those in need, those who are voiceless, regardless. With this in mind, is it much of a stretch to think that God would want us to help and care for the most voiceless and dispossessed in all our society, more-so even than the poor – his creatures. “As people of God, Christians are called to care for God’s gracious gift of creation. Christians are called to be moral images of God and to reflect God’s divine love and justice through “keeping” the Garden (Gen. 2:15). This special relationship with God requires good stewardship of God’s creation. Christian concern should extend beyond humanity to encompass the whole of creation – from rivers and oceans to fields and mountains....” The National Council of Churches of Christ, Bottom Line Ministries that Matter: Congregational Stewardship with Energy Efficiency and Clean Energy Technologies. So what does the Bible say about the environment? “ 25"Therefore I tell you, do not worry about your life, what you will eat or drink; or about your body, what you will wear. Is not life more important than food, and the body more important than clothes? 26Look at the birds of the air; they do not sow or reap or store away in barns, and yet your heavenly Father feeds them. Are you not much more valuable than they? 27Who of you by worrying can add a single hour to his life? Jesus, as the Son of God, has power over all of creation. “ 35That day when evening came, he said to his disciples, "Let us go over to the other side." 36Leaving the crowd behind, they took him along, just as he was, in the boat. There were also other boats with him. 37A furious squall came up, and the waves broke over the boat, so that it was nearly swamped. 38Jesus was in the stern, sleeping on a cushion. The disciples woke him and said to him, "Teacher, don't you care if we drown?" The author of this passage sees sin not so much as concrete acts but as a compulsion to act selfishly and destructively. Individual sinful acts are an expression of this inner tyranny of ego. In contrast, Christ models a humanity freed and empowered to act and relate constructively by grace (Byrne in Habel, 2000). As created beings and through our God given responsibility to be creation’s stewards, humanity’s fate and the fate of creation are inextricably linked. Thus, creation suffers or receives blessings in conjunction with humanity’s situation. Because humanity fell, sin cursed all of creation, making it hard to till; but Christ’s sacrifice has now brought about the possibility of a redemption for humanity, and thus for creation. All of creation is now eagerly waiting for the children of God to be revealed. Creation is waiting for us to free ourselves of sin and act more positively for creation by the power of the blood of Christ and the Holy Spirit. Creation is waiting for us to stop being selfish, destructive and self-centred, and to work with God towards the liberation and redemption of all creation, so that both humanity and creation can be free. So creation groans in frustration and anticipation, waiting for us to act. “The Bible clearly teaches that God’s creation is good (Gen. 1), that God is the owner of the earth (PS. 24:1-2), and that nature itself praises and glorifies God (Ps. 19 and 96); Christians have been directed by many Scriptures to care for the natural creation as God’s stewards (Gen 1:26-28; Exod, 20:8-11; Lev. 25 and 26; and Luke 4:16-22, among others);Christians look forward to the time when all of creation, including humankind, will be fully restored/redeemed (Rom. 8:18-25; Col. 1:15-23; and John 1:1-5 among others.” P165-166 What on Earth can you do- making your church a creation awareness center, Donna Lehman 1993. James Sire (Forward) in Van Dyke et al. (1996) says, “In 1967 Lynn White in his essay ‘The historical roots of the ecological crisis’ laid the responsibility for the crisis squarely on the shoulders of Christians and what he took to be the biblical view of nature. A case can certainly be made that Christians bear a major responsibility for our ecological crisis. But the fault is not their biblical but their unbiblical view of nature. Christians have long failed to understand what the Bible really teaches concerning nature and our responsibility for it. For this there is no excuse. Repentance must be our first response. This is a growing and evolving field. For example, I heard a talk recently which used the story of Daniel and his companions refusing to defile themselves with the King’s meat in Babylon as a Biblical basis for ethical consumption practices. This was something I hadn’t heard before and was quite intrigued by. I think the deeper we dig into scripture looking for good eco-theology, the more we are going to find, and hopefully this will fuel our actions for the environment. But perhaps the best way to tell you why Christians care about the environment is not to quote the books and theories, but to let you hear the words of those who are part of church communities that are actually doing something for the environment. My colleagues and I at the JIM unit of the UC have recently put together a booklet of stories we requested from churches all around the country and from different denominations. Communion mission: “to strive to safeguard the integrity of creation and renew the life of the earth”. Clarence Uniting Church, Hobart, “At the heart of the ecological crisis is a breach in relationship. How human beings understand themselves in relation to the rest of Creation shapes how we treat Earth. Worship can play a pivotal role in a renewal of our understanding of Earth and our response to the ecological crisis. Star Street Uniting Church WA tell that they started a Sustainability Working Group to explore how it could become a ‘greener’ church “following the Uniting Church Assembly’s adoption of the statement For the Sake of the Planet and all its people in 2006”. NSW - “In what is believed to be a world first, the Anglican Diocese of Grafton has had a spider named after it - Habronestes diocesegrafton. “Clearly God made the entire universe, all creatures great and small, not just the iconic rare pandas and tigers, yet we hear little of the tiny ecological building blocks,” Bishop Keith said. “To be a living interrelated whole the world needs to be concerned about the future of the obscure and little known spiders, mites and ticks as well as the big eyed and attractive vertebrate fauna. “Christ taught that God knows every sparrow in the air and the very hairs on our head, we mirror Christ when we seek to know and protect our fellow creatures. The major Christian groups all have statements about the environment, ask the Christian in your group to tell you a little bit about how their denomination sees the environment and how this might differ from other denominations and discuss any major statements made by that denomination. Now, I’d just like to touch ever so briefly on why I think faith can save creation. According to Sagan (1990) “Problems of such magnitude and solutions demanding so broad a perspective [as the ecological crisis] must be recognised from the outset as having a religious as well as a scientific dimension... The historical record makes clear that religious teaching, example, and leadership are powerfully able to influence personal conduct and commitment... We (the scientific community) understand that what is regarded as sacred is more likely to be treated with care and respect. Our planetary home should be so regarded”. ß Meaning – We can provide meaning to the environmental movement because we are involved in serving God and caring for his creatures. ß Moral Capital/Compass – The ecological crisis is a moral crisis, and faiths have traditionally operated out of a deep well of moral capital while providing a moral compass for guidance and authority. ß Numbers of Adherents – 85% of people on the planet are religious. Christianity, Islam and Hinduism count for 2/3 of the global population today. ß Land and other Physical assets – Religions own up to 7% of the land area in many countries. We can also have very high shares in investment funds. ß Hope – Religious people invariably see the world through hopeful eyes because of the hope God gives us. ß Faith – Faith in the unseen is what gives religious people the ability and strength to believe that God will take care of our world ultimately. ß Biodiversity Hotspots Overlap – Often where you find major biodiversity hotspots, there are also high concentrations of people of faith. ß God alone is to be worshipped – Religious people generally oppose consumerism (or anything else) as an alternative to God and believe in turning to God to satisfy needs. ß Cross-generational Dialogue – Faith groups are good places for people of different ages to get together and learn from each other. For example, people who lived through the depression and war years can teach the people of younger generations that recycling and re-use of resources are nothing new, and that it is not normal to constantly upgrade your possessions. ß WE HAVE GOD! – Some people in secular organisations think that we are dead or dying and that our actions are irrelevant because if they wait long enough we will be gone and bother them no more. Well we are not going anywhere, because our God is not going anywhere. I challenge people of faith to prove to the world that we are still a power to be reckoned with, and we still serve a great and amazing God. 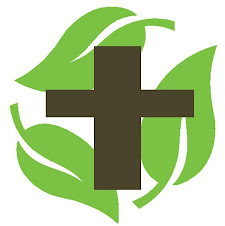 So I have a vision of what a green church might look like that I like to tell Christian groups to help them start to picture what a greener future for their church might look like. This is also very applicable for synagogues and mosques, so I will read it for you now and I’d ask you to think about how you might move your place of worship closer towards some version of this ideal. This is written in Christian language, so people of other faiths please translate the language in your head to suit your tradition. In our prayers for others our weekly endangered species prayer is for the endangered frogs we had a talk about at the youth meeting on Friday. We also thank God for the way he has blessed and added to our church through our environmental work. After the service I pack up my copy of the Green Bible and join the communal lunch. Fresh, local, vegetarian food abounds and is shared with the homeless. After the meal I quickly make a couple of arrangements for the clothes and tool swap next week. On the way out I meet up with the church greening group and we head out to the area of bushland we have adopted for a working bee. Our Christian Environmental Action group is going quite well, with our church teams and local conservation groups making quite a difference by dedicating a few hours per week. It is a testament to the way the church has now taken leadership in the environmental arena. Ok, so I’m dreaming. Yet I have not mentioned anything that is not possible, nor anything that could not, in theory, be started today. Indeed, many of these things have been done by churches, if you want to see stories about what churches have done, grab one of the Church Greening Story Booklets I have. What did you think of Jessica’s vision for a green place of worship? Are there any suggestions mentioned in this that you could try to implement in your place of worship when you return home? My Bible is stained by some soil from when I took it with me on a Christian Action for the Environment weeding trip. I think this is somewhat poetic in a way. If we are going to save this planet, maybe all our holy texts and all our hands need to be stained by the soil as we take action to care for God’s creation. Anyway, I hope I have given you some things to think about, and I have one last discussion question. "Neither this man nor his parents sinned," said Jesus, "but this happened so that the work of God might be displayed in his life”. What if the ecological crisis has been sent to us so that God’s power might be shown through people of faith? What if the ecological crisis has been sent to us so that we might see God’s power at work in others (scientists, conservationist, environmental groups etc. )?